Come for a visit, an afternoon, an evening, a night or two, or all 3 nights! Come by boat, car, RV, motorcycle or? Bring bicycles for local rides! 1100 Bike ride or walk or possibly a trip to the Sea to Sky Gondola? BPSS provides the turkey and trimmings – please bring a side dish or dessert. Saturday: Morning Coffee and muffins on the dock! Sunday: Morning Coffee and muffins on the dock! Monday: Morning Coffee and muffins on the dock! Contact: Please reserve your moorage at Union Steamship at 604-947-0707, or www.ussc.ca. Where: We are sorry to announce that the Nanaimo cruise has been cancelled due to a lack of participation. We are however holding drop in drop out raft-up in Bedwell bay that weekend for those people that would like to do a little boating but can’t dedicate an entire weekend to it. Come over for the day, the night, or just stop in for a couple of hours for some appies, whatever suits your time frame. Burnaby Power & Sail Squadron is proud to be putting together a little get together for the Honda Celebration of Lights this July 27th, 2013. It is the opening night for the celebration and who better to put it into full swing than England? Our plan is to drop the hook somewhere near Spanish Banks where the water is deep enough to keep both sail and power boat alike firmly attached to the bottom. 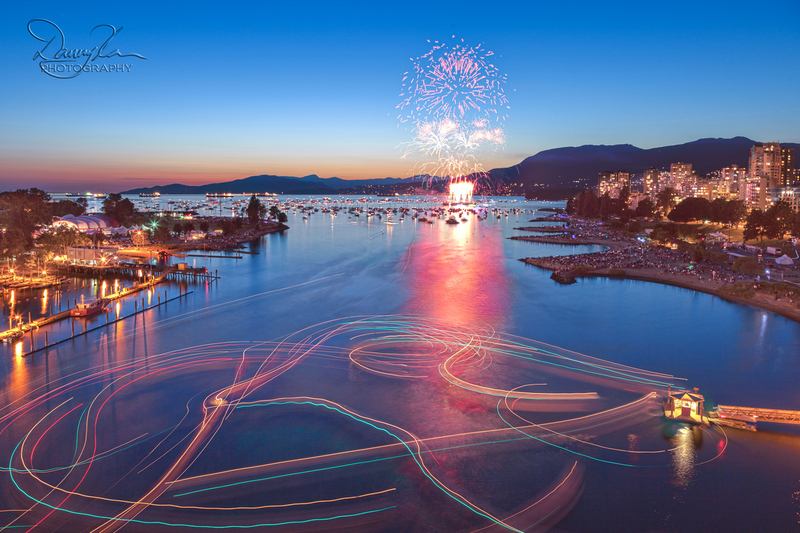 Also we wish to steer clear of the False Creek area after the display. I have ventured that way several times post–fireworks and it is quite the gauntlet to run. All are welcome, whether or not you have a boat at your disposal. We want all members to have an opportunity to enjoy the show from the water. Some members with boats will be staying overnight, others may decide to go to their port of call. We can assist anyone interested in coming out for just the night or for a sleep–over on the water. We have dinghies, tenders, kayaks, all sorts of good stuff to get you back to shore. Knowing my luck I’ll end up on a sandbar and you can simply walk back to Terra Firma. Anyone interested in attending may email me or our Commander directly for more information. Otherwise on the water hail “Toyiler” or “Diversion” on channel 16 for our exact location.